Between the illuminant floor plan and panoramic views, this modern 5 bedroom, 5.5 bath with 2-car wide garage is a dream. 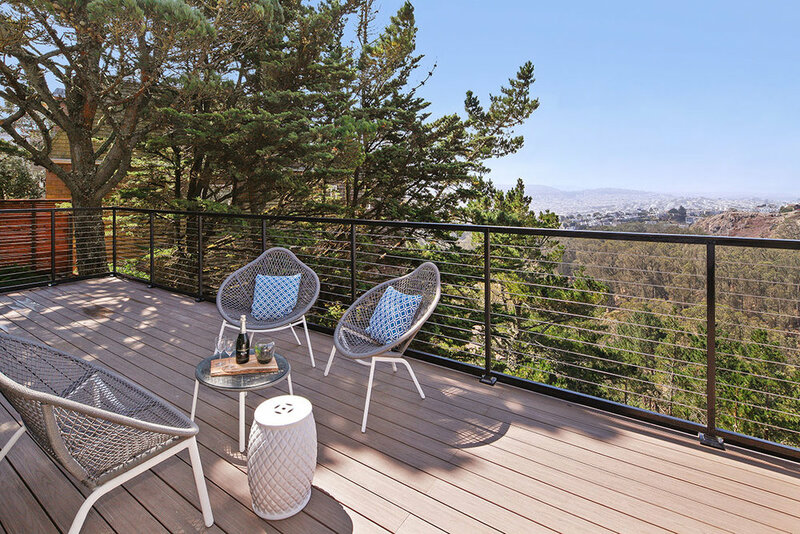 Newly rebuilt from the studs up, this modernly designed three-story retreat spans nearly 3800 square feet featuring high ceilings, radiant heated hardwood flooring and bedroom suites with breathtaking views of Glen Canyon, downtown San Francisco and the Bay Bridge. From the side by side garage, the base level opens up to a family room with floor to ceiling bay windows overlooking the lush grounds of Glen Canyon. Just off this communal space is a customized wine cellar, a full bath, and a guest bedroom with canyon views. The gourmet chef’s kitchen comes with modern amenities including an expansive Caesarstone island, stainless steel appliances, wine cooler, and a Thermador 6 - burner gas range. Completing this level is a half powder room, enclosed laundry unit, and a lavish bedroom suite off to the side. The lofted upper level features equally incredible views from each room. 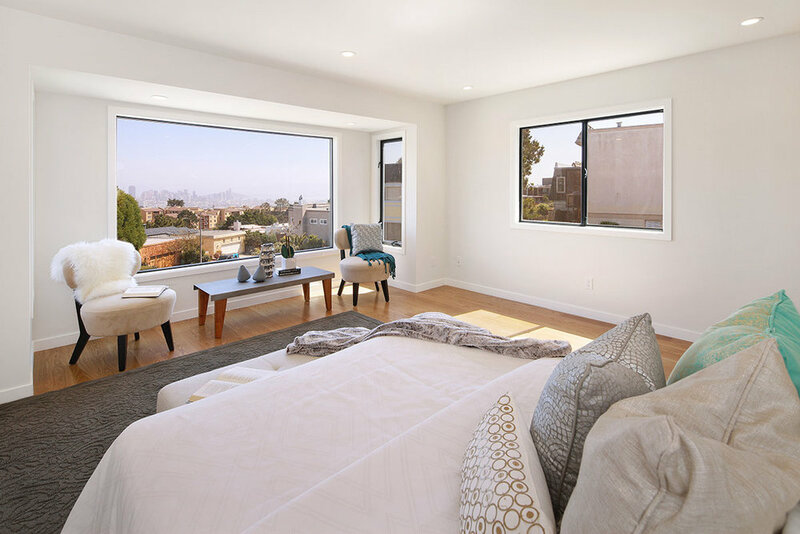 Enjoy unobstructed views of the San Francisco Bay, Downtown and the Bay Bridge from the master suite that also includes an enlarged en-suite bath equipped with a dual-faucet, elongated vessel sink and an oversized stall shower. 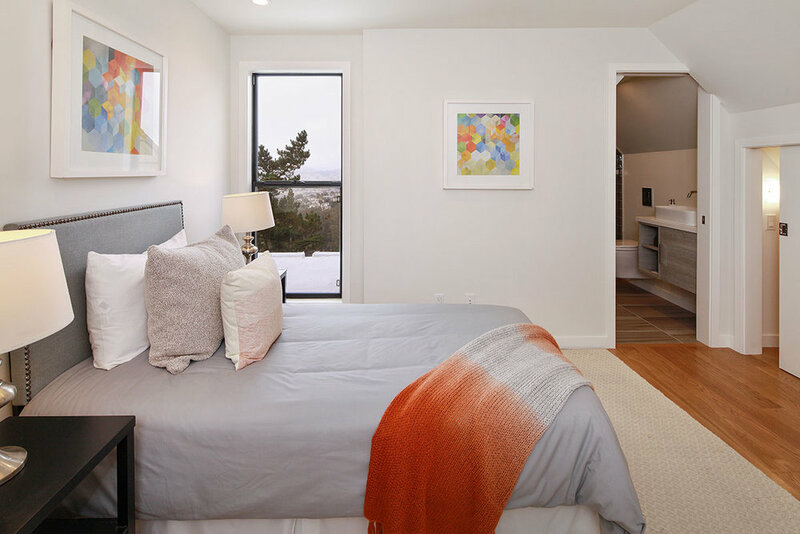 This level’s two additional bedroom suites also feature walk-in closets, en-suite baths, and stunning city views. Perched on the top of the hill of a quiet cul-de sac, 1 Jade is perfectly situated in a family-friendly neighborhood just minutes walking distance to easy access of hiking trails in Glen Canyon Park, tennis court or play structures at Christopher Playground or fulfill your banking, postal, grocery or dining needs at Diamond Heights Shopping Center. 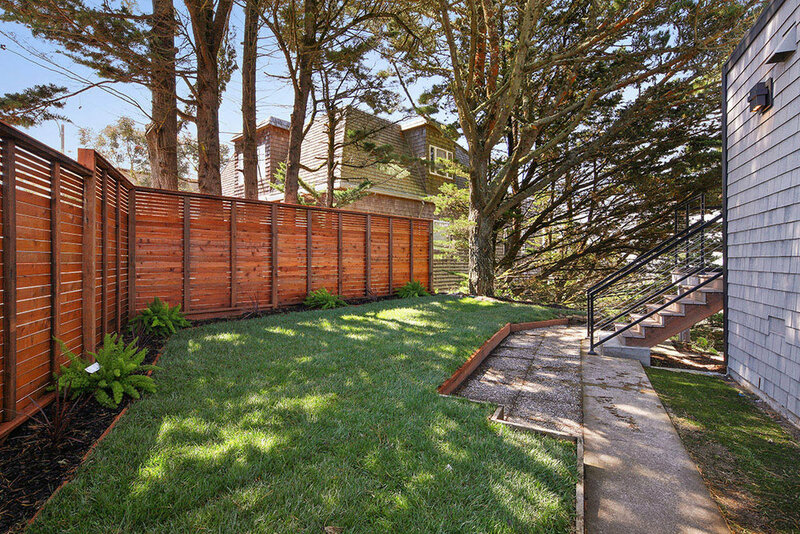 Professionals will also benefit from easy access to I-280 and the Glen Park Bart station. 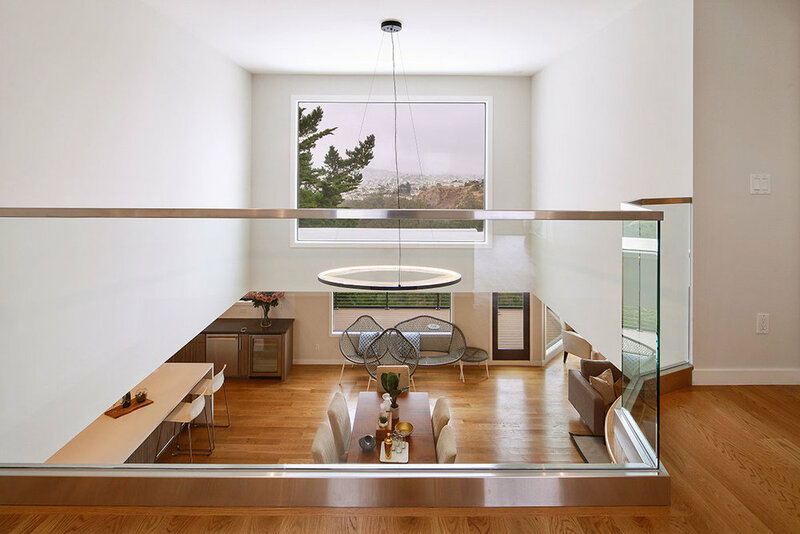 Expertly designed and ideally located, this stunning, contemporary home is the ultimate San Francisco retreat.